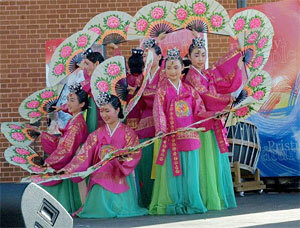 Six Pak Productions is the only agency in NSW currently booking multicultural entertainment into the club circuit. Dealing with all facets of Australia's multi-cultural society we provide a platform of multi-racial and multi-cultural harmony. Bands, vocalists and traditional dance groups from all over the world are included such as African, Asian, French, German, Greek, Indonesian, Irish, Italian, Lebanese, Mexican, Mauritian, New Zealand, Philippines, Polynesian, Portuguese, Russian, Scottish, Spanish, South American (Chile, Brazil, Argentina, Uruguay etc), Vietnamese and many more. We also specialise in special theme or dance nights. 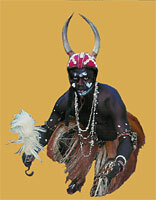 Traditional Aboriginal performance group that aims to promote indigenous culture throughout Australia and the world. 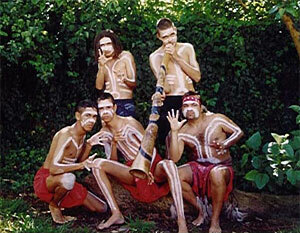 Dances include the 'Welcome Dance' with Didgeridoo and dance troupe. Incorporating dynamic dancers from several African tribes along with martial arts dancers from Brazil and musicians hailing from West Africa - Ghana, Senegal, Mali and Guinea an exhilarating night of entertainment will be experienced. Traditional Argentinean folk dance groups and musicians performing Malambo and Boleodoras present Argentinean culture to their audiences. Balinese dancers in traditional costumes perform dances such as Tari Puspa Wresti / Puspa Wresti. Balinese Orchestra ranging from 15 to 24 people along with traditional Balinese musical groups celebrate the melting pot of cultural exchange. 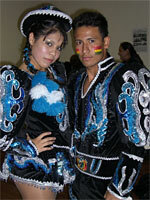 Traditional Bolivian group in stunning costumes who perform traditional dances including Jinku and Caparoles. A dazzling display of colour, passion and energy these dancers and musicians will put you right there in the heart of Bollywood. Brazilian and Latin bands ranging from four to eight pieces performing both traditional Brazilian music through to the more popular Latin songs of today including the songs of Ricky Martin, Gypsy Kings & Gloria Estefan. 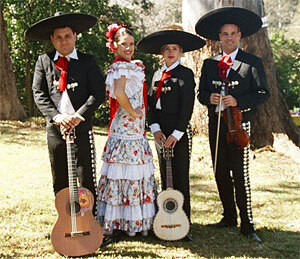 We also have roving Mariachi bands who's repertoire consists of lively, foot stomping music including popular romantic Mexican tunes. Duos who combine traditional South American instruments with strong vocal harmonies presenting the beautiful melodies and exciting rhythms of Latin America. 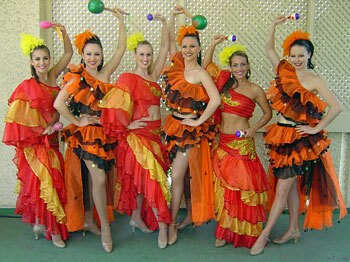 Brazilian dancers will make you feel as though you are on the streets of 'Rio De Janeiro' at Carnivale time. Experience the intriguing sounds of the steel drum, sweet reggae music, the happy beats of calypso, soca and all the sensual dance moves of the Caribbean Islands. Audiences participate in conga lines, limbo competitions and hip swaying dance movements. 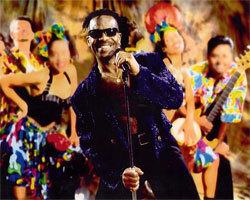 The colours, sights and sounds of the Caribbean will leave the audience wanting more. Experience a cocktail of traditional Cuban music that will transport you directly to the streets of Havana with pulsating rhythms, powerful vocals and lots of groove. 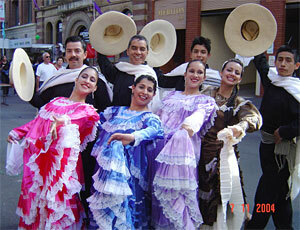 Cuban dancers will entertain guests and patrons with typical dances such as Rumba, Afro Cuban and Cha Cha. 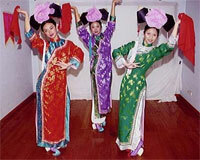 Chinese Dance groups perform traditional and modern Chinese dances including Rice Dance and Peacock Dance. Face Change artist, magician, acrobat and trick cyclist. Chinese Vocalists including Alan Lee & Rosita, Ernest Wong, John Chang, Sue Shen and Tamara Guo can also be accompanies by bands such as Soundscape, The Runners, The Travellers and The Mandarin. Chinese Lion Dance with 2 person lion and 6-8 accompanying percussionists. The Dragon Dance with 30 performers and a 25 metre long dragon is also available. 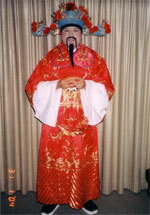 Chinese God of Wealth is a traditional Chinese New Year character who gives out lucky red envelopes containing either money or gold chocolate coins. Be transported to the home of Cabaret, Edith Piaf, Maurice Chevalier, Charles Aznavour and the Moulin Rouge. Our vocalist and stunning Showgirls will ensure a spectacular night is had by all. Whether it be the sounds of a traditional German Oom-Pah-Pah band, the songs of Marlene Dietrich or the visuals of the German slap dance, our performers will have the audience singing and swaying in their seats. The sound of the Bouzouki is guaranteed to have people on their feet. Our singers and bands will have audiences captivated as they perform both traditional and modern Greek songs. 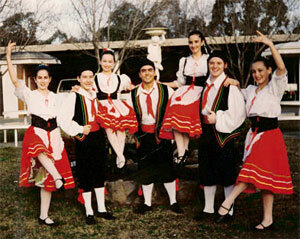 Greek Dance Groups performing traditional Cypriot and modern Greek dances are also available. No Greek show would be complete without a traditional exotic Bellydancer. Ireland is renowned for its humorous comedians, exquisite vocalists, traditional Irish folk bands and of course world champion Irish dancers. Six Pak Productions can ensure a night filled with popular Irish jigs performed by The Third Wheel a trio of enthusiastic, young performers. 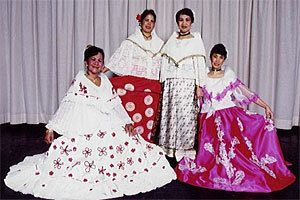 Traditional Italian dance groups and bands performing traditional songs and dances from the various regions of Italy. 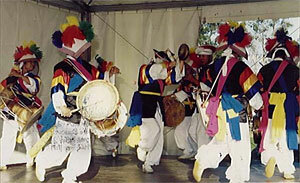 Traditional Korean drummers and percussionists create a unique sound of breathtaking energy. 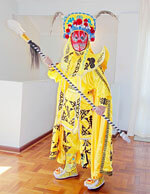 Traditional Korean dance groups in colourful costume are also available. 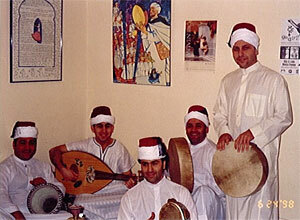 Dance groups, musicians, singers and bellydancers provide the sights and sounds of the Middle East. 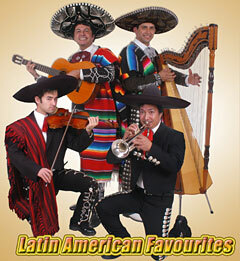 Taking you on a unique journey into the world of folk, popular & sentimental music of Mexico & Latin America. 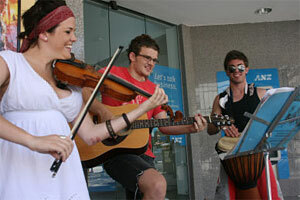 With melodic harmonies through the sounds of harp, trumpet, guitar, violin & bass your senses will be lifted. Moroccan music ensemble who play traditional Moroccan instruments, Arabic Calligrapher, Fortune Teller and Bellydancers bring Morocco to your door. Filipino cultural dance group who have been performing for many years at various festivals and functions and are currently appearing the popular production show 'Manila By Night'. 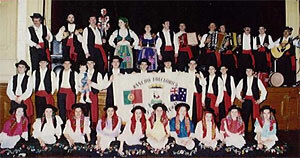 Traditional Portuguese dance groups consisting of live bands and singers along with dancers of various age groups. Peruvian dance group specialising in 'The Marinera' the national dance of Peru. 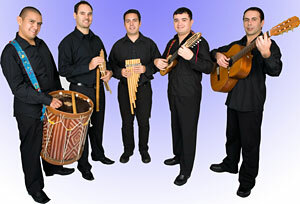 Peruvian bands playing traditional music with traditional instruments. Taire Pacifika Cultural Group sing and dance to the traditional drums of the Pacific. They sing in English, Tahitian & Cook Islands. Six Pak Productions can also provide a fully	contained Spanish Cabaret style show featuring vocalists, musicians and dancers who will take you on a journey from the traditional music of Spain through to the modern day music of Gypsy Kings along with songs such as Viva Espana and La Isla Bonita. Thai dancers in traditional costume perform a variety of regional dances. Ranging from a string duo through to a large Viennese orchestra. Available for weddings, private functions and corporate events. 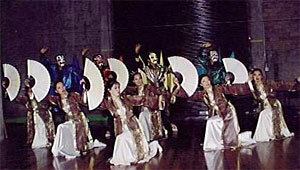 Vietnamese dance groups performing traditional dances such as Hat Boi and the Dance of the Wedding Gift. Also available Vietnamese dancers, singers and bands.